Apple kickstarted a four-day promotion, known as its "Shopping Event", on Black Friday, which will then run until the end of Cyber Monday today, November 26, 2018. Apple isn't discounting its products per se, instead, it's offering gift cards with the purchase of select iPhone, iPad, Apple Watch, HomePod and Mac models. These range from £40 ($50) for an iPhone, HomePod, or Apple Watch, and up to £160 ($200) for a new MacBook Pro, MacBook Air, iMac, or Mac Pro. These can be redeemed on new hardware and accessories at any Apple Store, or online at Apple.com. These gift cards are not to be confused with iTunes gift cards, which are used to buy music, films, television seasons, or apps, from a macOS or iOS device. 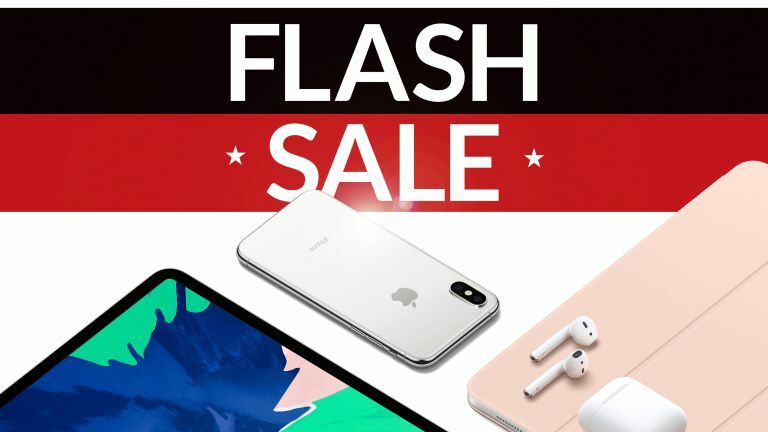 However, if you'd prefer a stone-cold discount over a free gift card, you'll be pleased to know that it's not only Apple that is discounting select iPhone, iPad, Apple Watch, and MacBook models – with dozens of other online stores slashing prices, too. T3 is keeping our eyes open for the latest price drops and deals. We'll be updating this page with anything that stands out, so stay tuned. iPhone's X series of phones are some of the best handsets out there ... if you can bear the massive price tag. Thankfully, the price is made a little more manageable thanks to Carphone Warehouse sweetening the deal by offering a £40 Curry's PC World Gift Card when you buy an iPhone XR, XS, XS Max, X from them. It's rare to see any sort of discount on Apple products, so £20 off the latest iPad is an absolute bonus! If you're looking for a great, all-round tablet experience, this is the slate you should buy. T3 will be on the look-out for new discounts, deals and promotions throughout the Black Friday and Cyber Monday sales period. Refresh this page to keep up with the latest price drops on iPhone, iPad, Apple Watch, AirPods, Mac and HomePod.